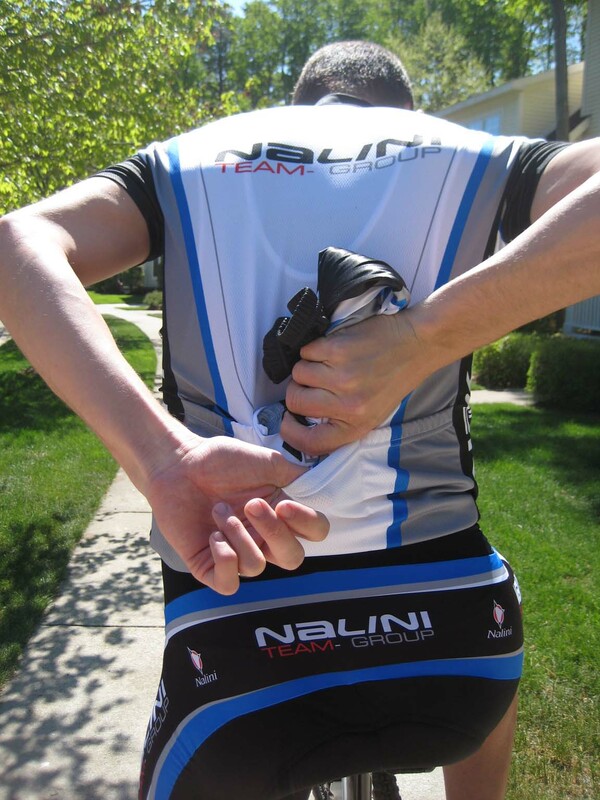 The Nalini bib shorts and short sleeve jersey working together. With summer still a month away, it’s a strange time to think about cold-weather cycling gear. But ‘cross will be here before we know it, and if your team is considering new kits or warmer garments for the cyclocross season, now is the time to get organized, find the right vendor, and get your orders in so you’ll get your gear in time for that first chilly race. To help your road, mountain, or cyclocross-specific team find the right products and vendors for kits for the ‘cross season, we’ve taken a look at some of the top custom clothing companies and their cyclocross-relevant product offerings. 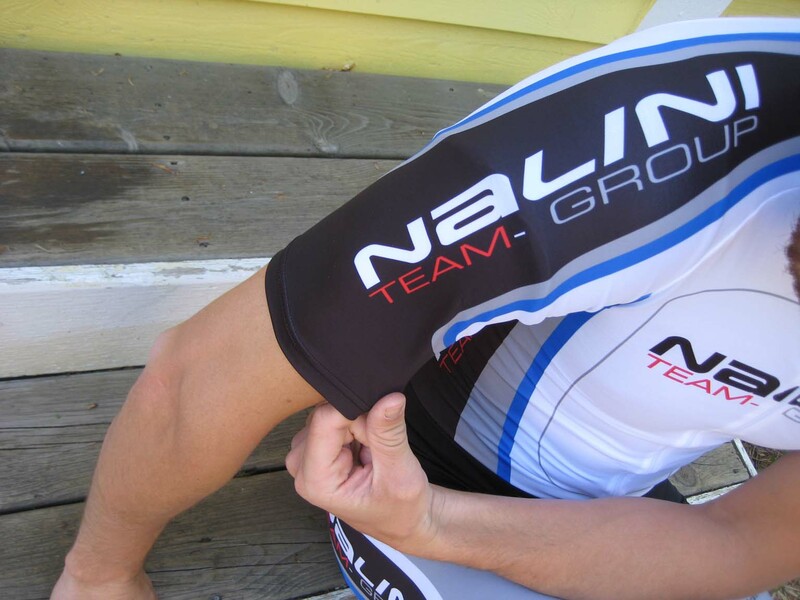 Our second custom clothing company we’re taking a look at is Nalini. ( First up was Mt. Borah ). 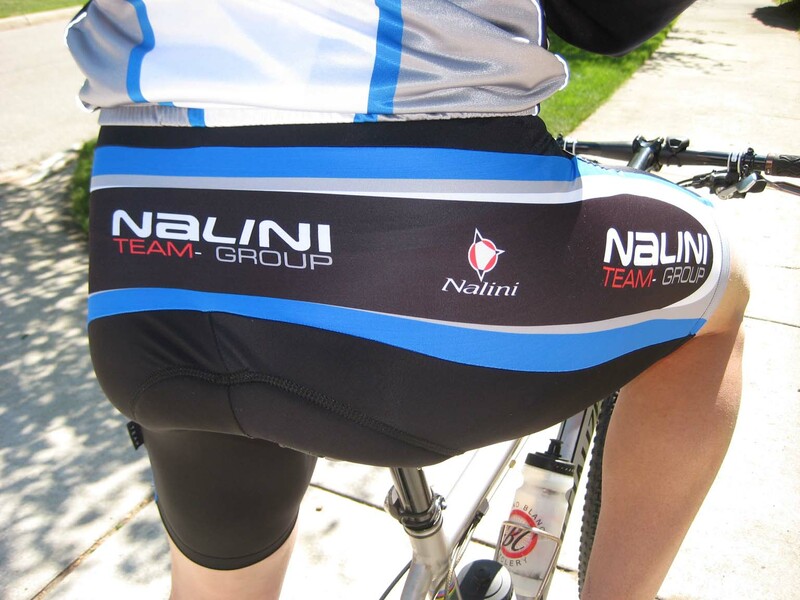 Nalini is an Italian-based company and has produced custom cycling clothing for pro teams for over 35 years. The same quality products are available to U.S. consumers through Red Rose Imports. In addition to custom cycling clothing, they are distributors for other cycling-related products. Red Rose Imports sent out a full compliment of ‘cross-related gear for review, including a skinsuit, short-sleeved jersey, bib shorts, lightweight wind jacket, arm warmers, and socks. They’ve got quite a selection, and should be able to meet all the cyclocross garment needs for your cycling team. Nalini produces all of their own fabrics, so the production process is completely vertical. Nothing is out sourced – everything happens in the factory in Italy. That’s pretty unique in today’s world of outsourced manufacturing and resellers. Gloves, socks, chamois, shoes, you name it, Nalini probably makes it in house. Consequently, Red Rose Imports can completely outfit a team from head to toe while working with one factory (Nalini) in Italy. In addition, the process seems to be very efficient, as Red Rose Imports’ Alyson handles the U.S. end and works with one contact in Italy, creating a very streamlined process for the customer. Called “Sinchini”, this jacket is a lightweight, smooth as silk jersey-weight wind jacket. Maguey fabric is a perforated mesh-like fabric that helps wick away perspiration and keep you dry. Lycra fabric with mesh bibs, the side panels wrapped around the back like a big upside-down U panel. Full zipper, raglan sleeves, very stretchy Lycra fabric with zippered back pocket. 10 with no side panels (one seam on each side joins the front two panels to the single back panel. Athene fabric, a lightweight spandex that is very stretchy. Nalini socks. That's right, someone other than Sock Guy and Defeet makes cycling socks. Do any famous crossers or teams ride the stuff? As of now, Nalini does not sponsor any major cyclocross teams. Every once in a while I stumble on something that is just so perfect I wonder how I ever rode my bike without it. Whether it is a pair of gloves or shoe covers that keep out the cold, or something as simple as a base layer that works unlike any other, occasionally an item fills a void in the cycling world that changes how you look at the sport. 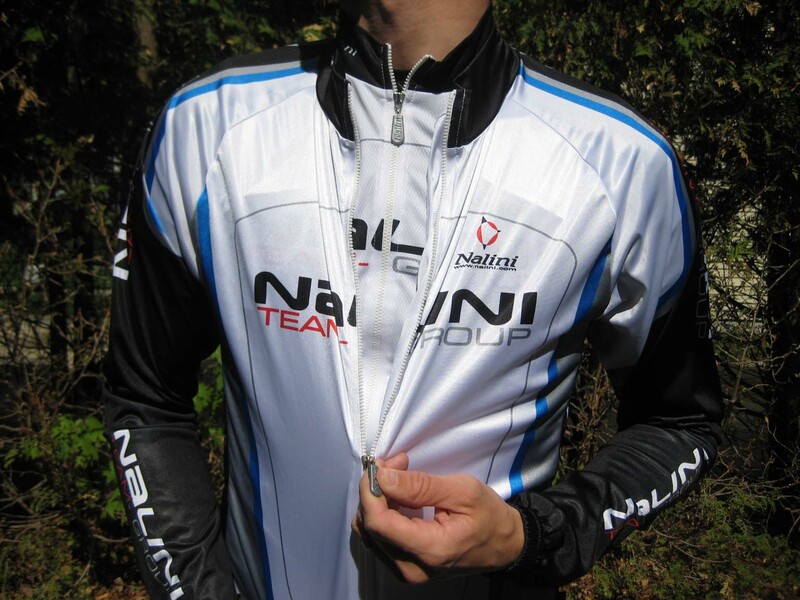 That was the case with the wind jacket from Nalini (tested size XL). Here in the Michigan spring, wind and temps can change in an instant. Fortunately, the wind jacket is perfect for those days when you don’t need a thermal coat but you want more than a pair of arm warmers in your pocket. Made from a Sinchi fabric that is smooth and silky but breathes like a jersey, the wind jacket wears more like a long-sleeved jersey than a traditional wind jacket. Despite its name, it is only mildly wind resistant and far from water resistant, but it adds just enough that you don’t notice the chill. In addition, the generous length in the arms keeps your wrists covered and the chill out. A skinny, full-length lightweight zipper in the front keeps things together, while very slick (hidden) vertical zippers in the back sides allow for access to your jersey pockets! This was far more functional than I originally had thought, and perfectly allows quick access to your food as the hours in the saddle wear on. In addition, this jacket packs easily into a jersey pocket, making it an easy companion on rides. Speaking of jersey pockets, the short-sleeved jersey in size large was a perfect fit for my 6′ 3″ skinny frame. The arms weren’t baggy and the length was perfect. I would describe it more of a race fit than a club fit, as it was comfortably snug throughout the torso. The front was joined by a full-length exposed zipper, which was surprisingly thick and felt like it could take years of abuse. The Milano bib shorts incorporated Nalini’s PTN9 pad (also available in a lady’s-only version), which was surprisingly comfortable for being relatively thin and without as much variation as I’ve seen in other pads. I believe the phrase, keep it simple stupid would best describe the amazing amount of comfort out of this traditional-looking pad. Why mess with what works? The bibs themselves are very lightweight and fairly stretchy, which was great for being tall. That being said, the bibs’ suspenders are a bit skinny compared with what I’m used to and are offset to the sides just a touch. This was only odd the first time I put them on and after that it felt very normal. The sizing fit proportionately for an XL compared with what I’m used to, and the elastic leg grippers did a good job keeping the shorts where they needed to be. For cyclocross and time trials, Nalini makes the very three skinsuits and all are available in both short and long sleeved versions. Alyson sent out their popular Sorrento Short Sleeved Skinsuit to test, which featured “thigh-flared” side panels and a “boomerang” (U-panel) back. This skinsuit was the first I’ve ever worn with a zippered external pocket which proved handy for my car keys. The pocket measures approximately 8″ wide by 7″ deep. As with the jersey and wind jacket, the front zipper seemed to be more rugged than most others I’ve felt on skinsuits, and the lower junction (the part that gets tugged on the most when you’re squirming into a skinsuit…) was very robust. Traditional elastic leg grippers held things in place, while the short sleeves were anchored by nothing other than a fold-over seam of spandex. While on the bike this skinsuit was very comfortable, the overall length for me was just a tad short for my lanky build. This was really only evident when standing or running, but was enough to pull the collar a bit tight when fully zipped. Fortunately, your body may match Nalini’s skinsuit cut better, and if not, Nalini can custom run different sizes for you, so you can get a truly custom fit on a piece of clothing that every ‘crosser should own two or three of. Red Rose Imports also sent out a thin pair of arm warmers and a sample custom pair of socks. The arm warmers in size large were just a tad short on my arms, and since my arms are skinny I had difficulty keeping them in place without a long-sleeved base layer underneath. If my arms were a bit more proportional to their length, these would have been a great pair of late spring and early fall arm warmers. Not too warm but more than just a super thin layer to take the edge off. These packed very small in a jersey pocket and used a traditional elastic band to keep them in place. As for the socks, the ribbing on the arch felt like a bit of a compression sleeve when I first tried them on. The L/XL sizing was a tad short on the small size for my feet (size 48 or 14), but stretched well enough that once I got them on they felt fine. The height of the sock is just a tad taller than a standard “crew” sock, which allows for a nice sized logo to be placed on either side of the ankle. The compression arch felt very good, and the sock managed to stay perfectly in place while off the bike running (essential for ‘cross). Nalini is very flexible, and pricing will be determined in part by the quantity you require. Depends on quote due to the quantity requirements for sublimation or digital sublimation. Sublimation screens are kept for two years in Italy, so you’ll have no problem remaking a kit down the road if your sponsors stay consistent. The average lead time is 60 days. From September to the end of November, product is usually to the customer in 40-45 days. From January through March (crunch time! ), orders can be as long as 90 days. In April, production slows down a bit back to the average of around 60 days. Unlimited, but the number of colors will affect the price quote. On orders of 20 items or more (of a single item), Nalini uses the traditional, fully sublimated process. Fully sublimated printing results in a higher quality print with very crisp artwork. On orders of less than 20 of a single item (or if artwork is very complex), digital sublimation is used. Red Rose Imports can help out with artwork and the design process. Pricing depends on many factors, so a custom quote is necessary. They can do full designs or tweak your existing design, so there are many options available. 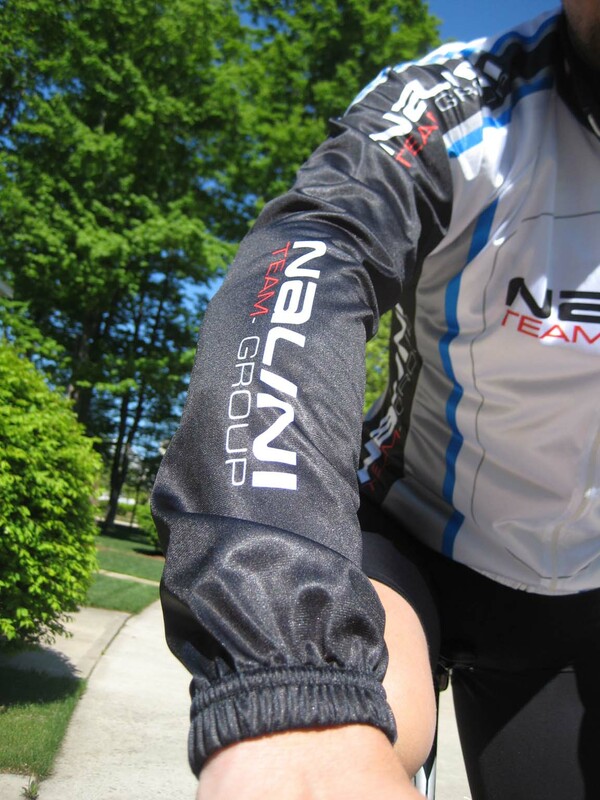 Nalini makes some fine ‘cross clothing with excellent materials and clear attention to detail in construction and features. One great example is their skinsuit, with an external pocket and rugged construction that will both be appreciated by die-hard ‘crossers. Nalini’s wind jacket was particularly impressive because of its functionality and overall performance. Staying warm at the start of a race in Michigan isn’t a big deal in September or October, but once November hits there are actually three races for one ‘cx race: 1) race for a good starting spot, 2) race to peel as many clothes off as possible with 60 seconds to start, and 3) the actual ‘cross race. A jacket like this would be great to use not only as a warm-up jacket for on-the-bike riding but also would look great as you’re enjoying the accolades of the crowd while being awarded your local/national/world championship medal. I wonder what that’s like? One really appealing aspect of working with Nalini and Red Rose Imports is their ability to do truly custom runs. For their skinsuits, they can custom sew one for you with different sized tops and bottoms. Also they can add or subtract length in the sleeves of garments as you need. 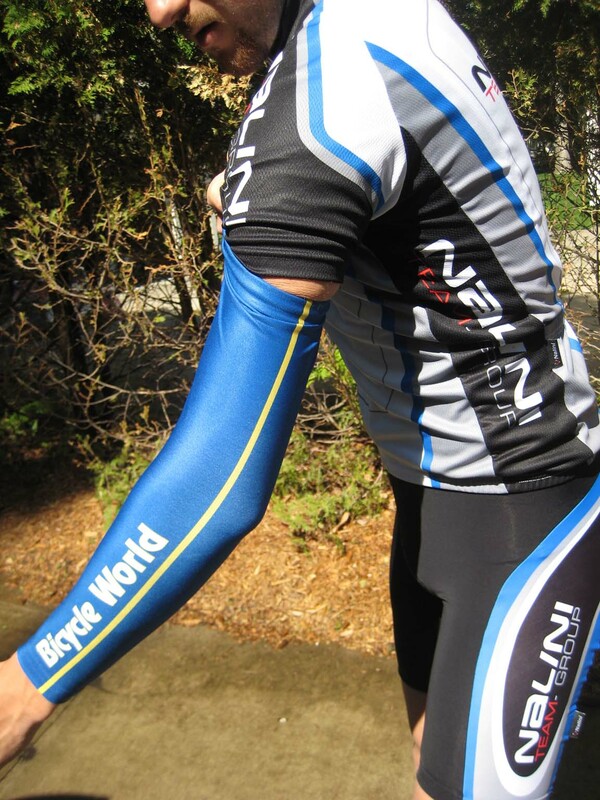 For someone like me, sleeve length is probably my top complaint when it comes to long-sleeved jerseys or skinsuits, so this is a really neat option to consider when choosing a custom clothing company. Stay tuned for more custom cyclocross clothing company reviews. Also, see our review of Mt. Borah. Moisture is generated on the skin through transpiration. The fabric absorbs this moisture and quickly conveys it outside. The optimized synthetic fiber carries out constant evaporation and a more effective heat exchange. The result is a sensation of freshness on the skin. 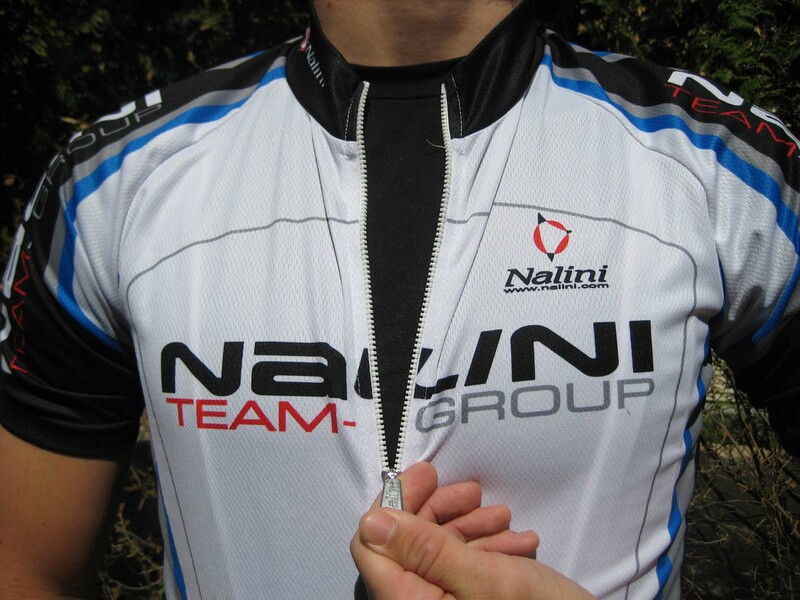 <a href=”http://www.carbonconnection.com/cycling-jerseys/”>Nalini Jerseys</a> are really amazing.